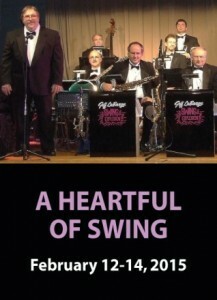 Treat yourself and a special someone to a Valentine’s Day celebration as PETE SORCE and THE SWING EXPLOSION SEXTET present a cabaret filled with memorable vocal and instrumental standards in the styles of the Rat Pack and big bands at Elm Grove’s Sunset Playhouse, February 12-14, 2015. As part of its SideNotes Cabaret Series, Pete and the group will present four performances in the intimate and relaxed atmosphere of Sunset’s Studio Theater. 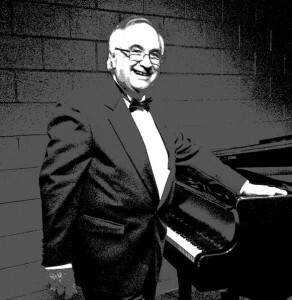 The evening’s entertainment will offer timeless songs performed by a prestigious group of exceptional musicians. PETE SORCE has performed with a “Who’s Who’ of legendary entertainers including Les Brown, Nelson Riddle, Mel Tormé, and Duke Ellington. He attended Lincoln High School where he sang with his friend, Al Jarreau, and also worked with popular rock groups Big Apple and Toll Free. THE SWING EXPLOSION SEXTET includes Jeff LaBarge (leader/arranger and saxophone), John Rose (trumpet), Dave Smith (trombone), Ben Leon (keyboard), Jeff Hoorman (bass), and Jim Ryan (drums). Performances are Thursday, February 12 at 7:30 p.m., Friday, February 13 at 8:00 p.m., and Saturday, February 14 at 3:00 and 8:00 p.m.